Nicholas Cosmo turned himself into authorities Monday night. Long Island investor Nicholas Cosmo, charged in a $370 million Ponzi scheme, hired convicted criminals as brokers, blew millions of dollars in bad commodities trades and spent his victims' money on jewelry and limousines, officials revealed Tuesday. Accused of cheating 1,500 investors over the past five years, Cosmo, 37, also apparently had a gambling problem and met one of his convict brokers while himself serving time in federal prison for an earlier investment fraud, documents show. Cosmo, accused of losing $80 million on commodities trades, also spent $100,000 of investor money to buy jewelry, rent hotel rooms on Long Island and pay for limousines, officials said. Officials suggested that more people could be investigated in the scheme. A man accused in what investigators think might be another Ponzi scheme turned himself in Monday night. 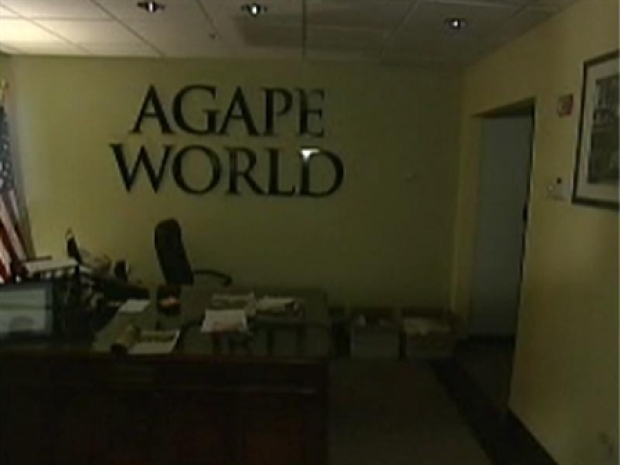 "Everyone involved in Agape World operations still has the potential of being part of this investigation," U.S. Postal inspector Al Weissmann said. A federal magistrate, concerned that no one has explained where the $370 million has gone, ordered Cosmo held Tuesday without bail on mail fraud charges pending a detention hearing later in the week. As of last week, Cosmo's firm had only $746,000 in the bank, prosecutors said. Cosmo, head of Agape World and Agape Merchant Advance of Hauppauge, L.I., and Queens, was a fugitive briefly on Monday when he vanished for several hours after promising to surrender. Officials charged that his victims were promised annual returns as high as 80 percent a year from interest on "bridge" loans to other businesses, with one swindled investor claiming Cosmo claimed his stake was "99 percent risk free." Several alleged victims gathered at the Central Islip courthouse Tuesday. Bronx construction worker Ray Discirio said he lost $30,000. "It was after you gave him your money that you received a card in the mail and that card said 'Thank you for your trust,'" Discirio said. "And that's probably the hardest part about this." Added Paul Priore, who said he invested $15,000: "I'm disgusted, devastated because it was my whole life savings." A federal affidavit said "much of the money paid back to investors ... was actually money provided by subsequent investors," in a Ponzi scheme akin to the $50 billion fraud alleged in the Bernard Madoff case. Cosmo's network of brokers reaped $55 million and included a convicted robber and a former heroin importer, according to an affidavit by a U.S. Postal inspector. Cosmo, convicted of felony fraud in 1999, apparently met the heroin importer while both men served time in federal prison, the document said. Cosmo allegedly paid that man's company more than $5 million from 2005 to 2008, according to the document. He also spent $212,000 of investor's money to pay restitution on that previous fraud conviction, according to officials. While under supervised release in that earlier case, Cosmo was ordered to take "intensive outpatient gambling therapy," the affidavit said. If convicted of these latest charges, Cosmo faces up to 20 years in prison. His lawyers declined comment Tuesday.